From the highway, a fire in the Jefferson Wilderness closed about 35 miles of the PCT. Rafael drove myself, Piñata and Straws down a forest road to the end of the closure. The road was really rough and we decided to get out of the car and walk the next 4-5 miles. All of Oregon we have talked about doing bigger miles. They decided to get up really early to do a 40 mile day. I slept in and started my day alone. 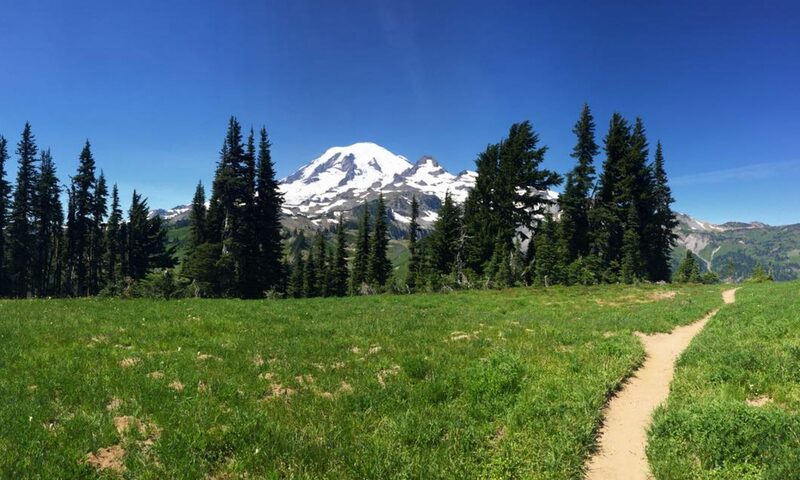 Most hikers had hitched to Olallie Lake, a few miles north, so I had this stretch to myself. I stopped at the lake to enjoy my breakfast of muesli and coffee. Later in the day, I caught up to Lucky Charms, BangBang and Spatula. 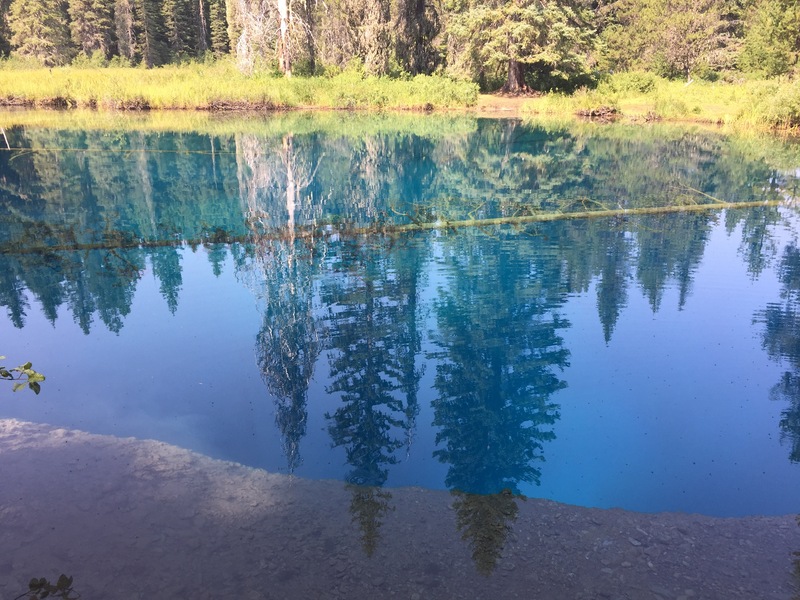 We had lunch at Little Crater Lake. I had no idea that this was here! I’ve lived in Oregon 2/3 of my life and never heard of this?! It was so blue, and sooooooo very cold. I only dipped my feet in, but others jumped in and quickly got out. The four of us hiked and camped together just before Timberline Lodge. The following morning they went to the lodge to eat at the breakfast buffet. I just wanted to get to Cascade Locks to see Rafael again, spend a couple days in Portland and send my food to Washington. 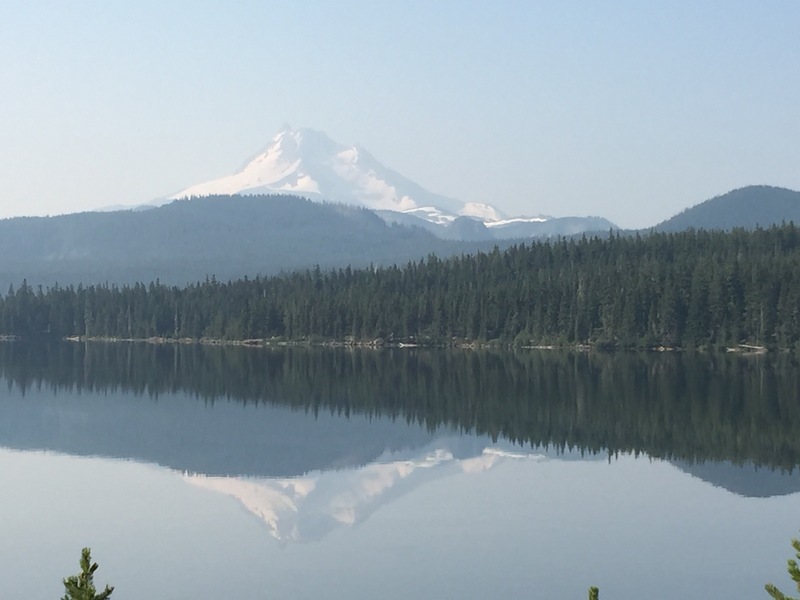 Due to the Indian Creek Fire, camping at the Indian Creek Campground and further down to Wahtum Lake was not allowed. So I camped just before the campground, leaving me with 25 miles to Cascade Locks the next day. After making camp, eating and snuggling into my quilt, Rafael and I began messaging on my GPS. He suddenly told me that his mom had just passed. I was in shock, rereading the message. In a full panic, I was ready to pack up and night hike to meet him. Since I would not get to Cascade Locks until 2am if I did so, we decided that I would just hike in the morning. I woke up early and bolted. I planned on not taking breaks, filled my pockets with bars and marched. At this point, I was “done” with the trail. I felt terrible for not being with Rafael in the moment. I was worried about him and wanted to be fully there for him. Getting closer into town, I told myself I was done, it was more important to be with him, I could always do more of the trail at another time. 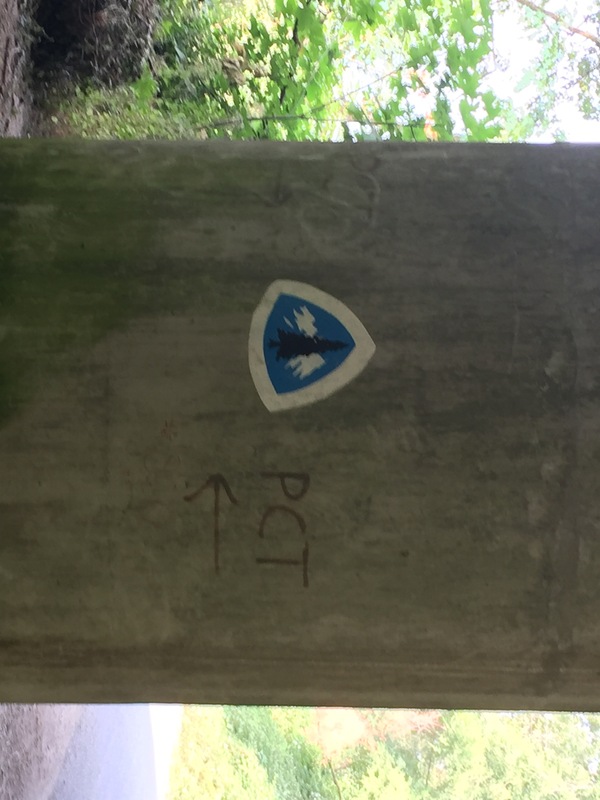 PCT Marker painted under the bridge in Cascade Locks. I got to Cascade Locks by 1pm, meeting back up with Straws and Piñata along the way. Rafael drove from Wasco to pick me up, so I joined Straws and Piñata for lunch and a free hiker beer from Thunder Island Brewing. I was a mental mess, not knowing what I was doing trail-wise or how I could be helpful to Rafael. When he arrived, I said my good byes to this wonderful couple I had come to know the past month. Would I ever see them again? This is just another part of the trail though, meeting great people and separating from them, possibly never crossing paths again.